Offering a very nice irrigated quarter of crop land which is located just northeast of Macksville, in Stafford County, Kansas. This farm is nearly level with very little slope and sets approximately 200ft. above sea level. 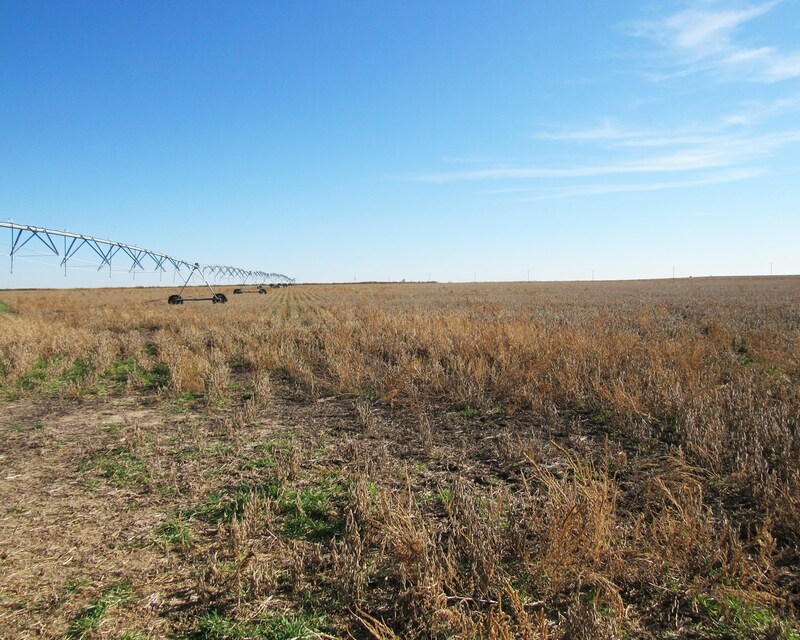 The area around Macksville, Kansas is predominately farmland with a mixture of irrigated and dryland crop farms. The farm has good access from the south off of a state highway (50) and good county road along the west and south sides. GENERAL LEGAL DESCRIPTION: SW/4 of Section 12- T24S -R15W Stafford County, Kansas. WATER QUALITY: According to reports, this farm can produce 800+/- GPM of ground water. (Water reports and history are being pulled and will be updated shortly, please check back for more details). SOIL TYPES: The principal soil types are Saltcreek and Naron Fine Sandy Loams, with 1% to 3% slopes; a Sandy loam soil, Carwile Fine Sandy Loam, 0% to 1% slopes; and Farnum and Funmar Loams, 0% to 1% slopes. These soils types are conducive to growing a variety of small grain crops and forage/hay. 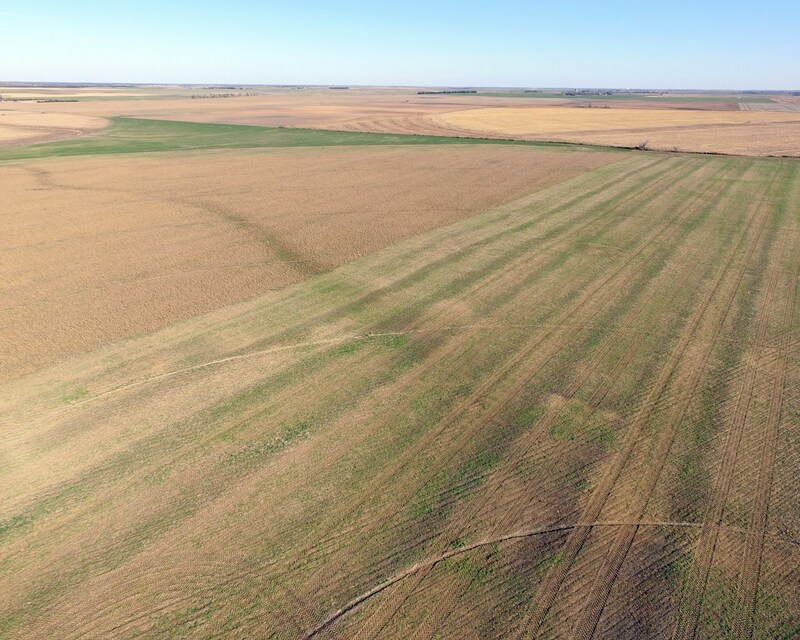 FSA INFO: According to the Stafford County, Kansas Farm Service Agency the farm has 158.43+/- acres of cultivation with a small 1.77 acre tract in the NW corner that is currently enrolled in CRP. (FSA 156EZ forms and any government contracts are being pulled by the agent, please check back for more details). MINERAL RIGHTS: The sellers believe they own 100 percent of the mineral rights and their interest shall transfer with the surface at closing. There is oil & gas activity in the area, and the farm is currently open for lease. BROKERS NOTE: This ground has been in the same family for 3 generations and is now being offered to the public. The tenant owns the center pivot, motor and gearhead which is located on the farm and the real estate agent can provide details for making an offer on this equipment to remain on the property. Address :00000 NW 10th St.
Darrin has lived in Western Kansas all his life. He recently moved to the Kansas City area but will continue to have a home in Western Kansas to facilitate his real estate activities and farm projects. Darrin has been in the Agriculture industry for 40 years with a family owned business. Also he has farmed in Gray County Kansas. He has also owned and operated other businesses outside of agriculture. He has been very active in the communities in which he has lived. He has been in real estate since 2005 and has served on local and state boards. He enjoys refereeing NCAA football and local high school football games. Darrin enjoys working with people and helping them with their real estate needs.